In the first two parts, I tell the story of how I discovered hypnosis through the path of weight loss. If you missed them, you’ll find them here and here. This week I talk about my decision to become a hypnotherapist and everything else I’ve achieved with hypnosis up until now. After discovering weight loss through hypnosis in 2011, my husband gave up his 20-year-old smoking habit in one session the same year. Hypnosis was grabbing my attention! I’d been on the mailing list of one of the weight loss/hypnosis book authors. She sent out an invitation to a free masterclass on “becoming bulletproof to criticism.” This sounded intriguing because I was quite susceptible to feeling hurt by criticism. I signed up. The masterclass was going live one November evening. I excused myself from my family and settled down to watch on the iPad in our guest room. Thousands of people all over the world were taking part at the same time. Firstly, the hypnotherapist talked about what hypnosis is, what it does and how it helps. She also described where a fear of criticism often comes from. Then she asked us to sit or lie back. She counted from 10 to 1 to induce deep relaxation (a trance) in us. She guided us into a kind of individual regression to recall examples of being criticised as a kid. Stories popped into my head and I felt very sad at the memories. She finished off by doing a healing, programming part by explaining that we’re not that criticised child anymore. We have other ways of dealing with criticism now and listed them. After she counted us out of the trance, I felt a tingling in my body and was energised and buzzing. I rushed to my husband and told him enthusiastically how powerful it had been. The next day I literally bounced along the street on my way to work. I almost challenged passers-by to criticise me and watch it pearl off like water off a duck’s back! This stuff was mind-blowing!! Needless to say, I was hooked. 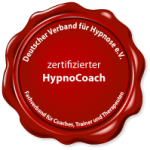 I signed up for the live, 8-week hypnosis for personal development course that was offered after the masterclass. I immersed myself in learning, healing and growing and achieved so much that I’m still grateful for today. 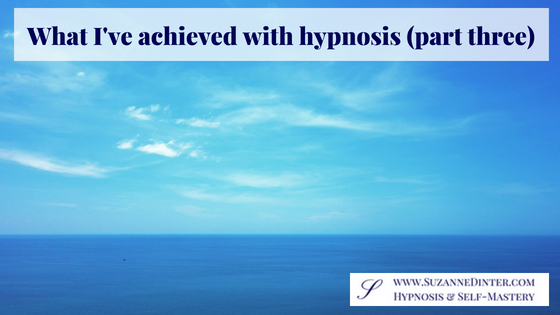 I knew soon after completing the course that it was my calling to become a hypnotherapist. If I could achieve so much by doing a generic hypnosis course, how powerful would it be to offer tailor-made one-to-one sessions? I became more productive and focused. (I get up at 5.15am on a weekday. I do first what I “hate” when I start work. I don’t procrastinate anymore, I Just Do It. I write everything down and prioritise). I got over a nearly 40-year phobia of tomatoes! Now I grow them in my garden and eat them almost every day. (And I know exactly how the phobia started, but that’s for another time). I stopped biting my nails. I practice self-care, love and acceptance for a few minutes every day. (I listen to hypnosis audios, take naps, meditate, journal, tap (do EFT), take walks in nature and see good friends. Because I listen to my needs and don’t stuff them down anymore). I know that I am 100% responsible for any changes that I want in life. I cannot blame anyone else. I cannot expect anyone else to do the work for me. It’s not going to happen if I don’t change something and take action. (That was a biggie because I often wanted someone to rescue me). My self-confidence and self-esteem have blossomed into trusty friends I can rely on. I’m my own best friend and I love me (almost) unconditionally. My self-talk has become kinder. Do I tell you all this to brag? Not by a long way! I tell you this to show you a fraction of what we can achieve. A millionth of our potential. A sliver of our possibilities. So now I want to give the gift of life-changing transformation to SO MANY PEOPLE. I want to shout from the rooftops that there IS a way out, through and over. You CAN achieve whatever you want in life. It’s all inside of you. You are so powerful and you might not realise it. Take one step at a time. You decide how far and fast you want to go. And I’ll gladly be your facilitator. Let’s have a conversation here. Or send me an email saying what you want to achieve or change here. Next week, I’ll tell you how I used to be as a kid and well into adulthood. I’m sure you’ll be able to relate. Brilliant blog, Suzanne. Hypnosis is such a powerful tool for bringing positive change. I know because I’ve experienced it. Thanks a million. Thank you, Claudia! Much appreciated. Love your energy and passion that shines through this post Suzanne. I’ve really enjoyed reading this series of your blogs and look forward to hearing about your tomato phobia soon! Thank you, Carole! Much appreciated 🙂 Yes, the tomato phobia was a long and strange one, triggered by a comment by my grandmother when I was a kid. Great blog and thank you for sharing your journey. Glad you liked it, Anita! Thank you for commenting.